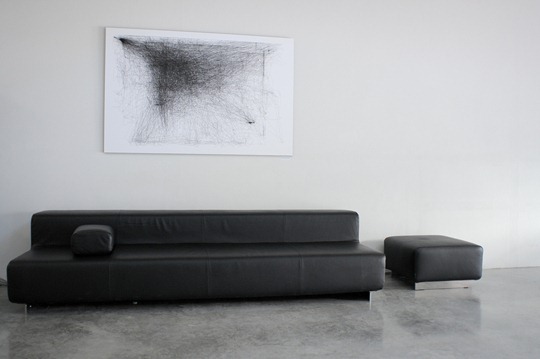 The wall painting that you see in this photograph is not another expensive work of art but a computer generated sketch made by tracking movements of the mouse cursor. Would you like to have something similar for your own desktop? Get IOGraph. IOGraph is a free tool that captures your mouse cursor movements and then “outputs” them to a white canvas. Just run the program, let it record your mouse movements in the background and you will be absolutely amazed to see what you get at the end of the day – the painting is a brilliant reflection of your own busy day. The lines in the painting represent cursor trails while circles represent areas where the mouse cursor was inactive. The bigger the dot, the longer the stop was. IOGraphica is available for download on Windows, Mac and Linux though you would need the Java Runtime to use the app. You may also want to check out Win-o-meter, a free Windows utility that will track how many miles your mouse may have travelled in a day. Thanks Veronica for the tip.